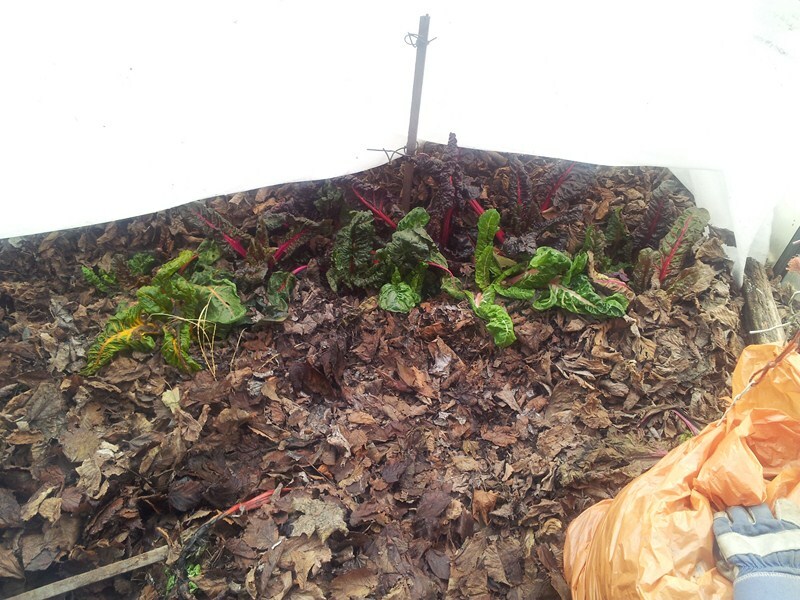 We have overwintered Swiss chard and leeks in the garden for about 10 years now by just covering with tree leaves. It was easy, but the results were mixed. A few years ago, I moved leaks and kale in the greenhouse and covered with dry leaves. 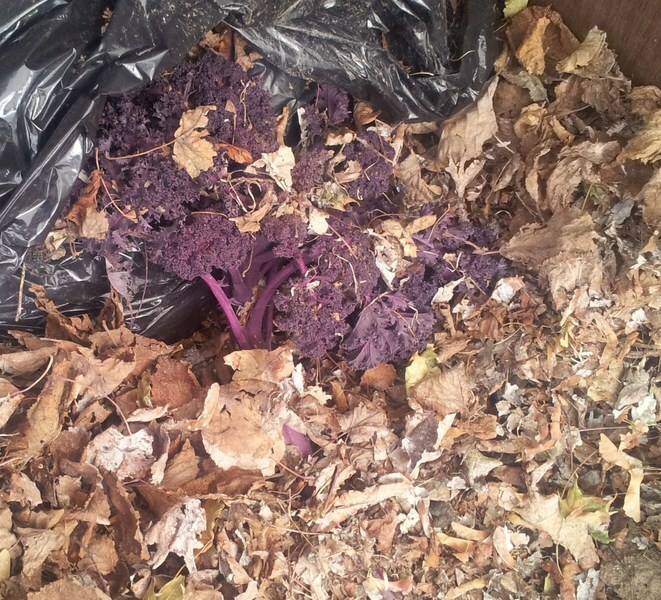 This worked perfect for the kale, but about a third of the Swiss chard rotted. 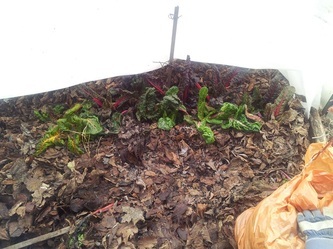 This year I covered the Swiss chard with just 1/8 closed cell-insulation (shipping insulation). 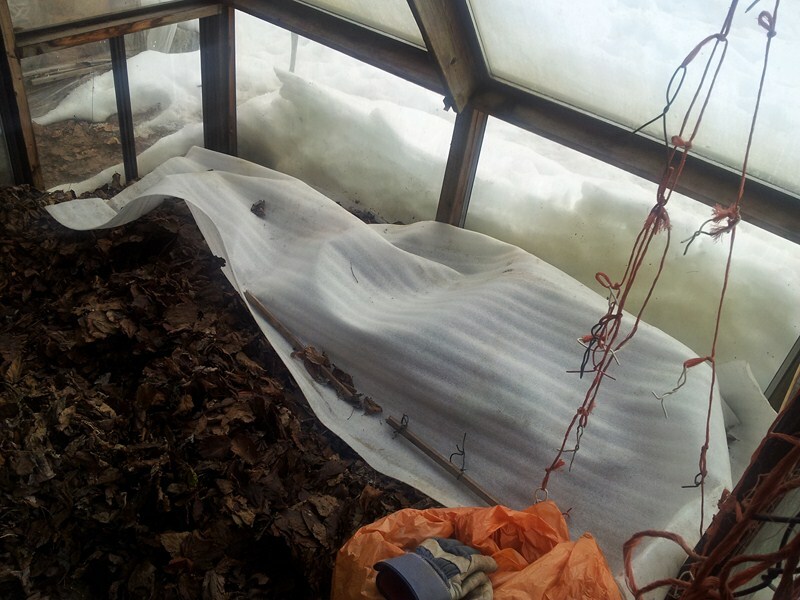 For a couple of weeks when the weather was colder than -10ºC, I put a layer of leaves over the insulation. This worked perfectly. It seems the Swiss chard needs some daylight to keep it alive all winter. We have been eating from all these veggies all winter. The Swiss chard is growing fast enough to keep us supplied. 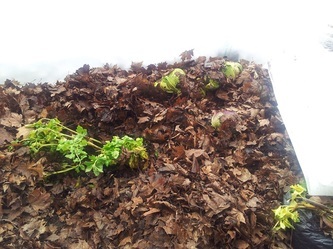 Any vegetables we have not used by April, I move back out to the garden, and they keep on growing and keep us supplied till the next crop comes in (if we have planted enough to begin with). 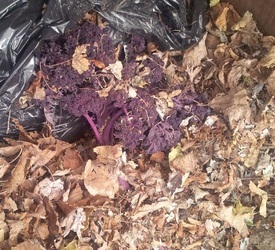 All of these veggies can tolerate some frost, so we leave them in the garden until late October or even early November some years. Another problem we have in storing veggies in the garden is they get badly attacked by moles. Note garbage bags with extra dry leaves, if I need them.